1. The Grand Canyon is an example of 6 million years of erosion and 4 geologic eras with 17 visible layers of earth. 2. The high altitude in the Grand Canyon (7,000-8,000 feet) can make it more difficult to breathe and easily cause fatigue, especially for people like me who live about 20 feet above sea level. 3. Over 4 million people visit The Grand Canyon each year. We hiked the south rim and Bright Angel (below the rim). 4. Approximately 250 people are rescued from the Canyon each year. The park charges a fee for rescue services, and fatigue is not considered an emergency. 5. 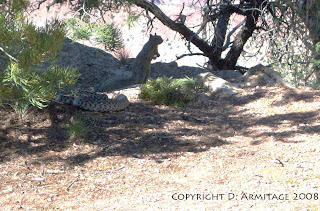 A squirrel is a worthy opponent of the rattlesnake. 6. There are two ways down the Grand Canyon: your own two feet or a mule. Mules have the "right-of-way" on the trail. The mules detour from the hiking trail to cross the Colorado River. They will not cross the "silver" suspension bridge because they can see the Colorado River below. They cross at the "black" suspension bridge which has rubber mats so the mules can't see the river below them. 7. Sedona, Arizona is internationally known as a center of spiritual health and well-being. Among the spiritual offerings are yoga, vortex sites, healers, spas, retreats, intellectual tours, new age products, psychic readings, meditation, and life coaching. I had never heard of a "vortex" before I visited Sedona. 8. Of the 50 US states, Arizona has the larges percentage of land set aside for Native Americans, and the largest of that is the Navajo Nation. 9. 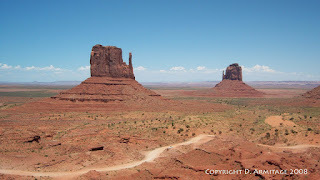 Monument Valley Navajo Tribal Park is one of the most photographed places on earth. It's located a few miles across the Arizona/Utah border just off the "Forrest Gump road" ( the road where Forrest finally stopped running). 10. 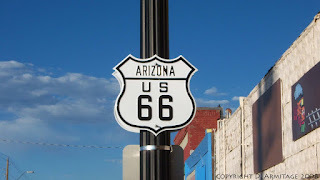 Route 66, the Mother Road, crosses 8 states, including Arizona. R66 officially disappeared from "official" road maps in 1984. 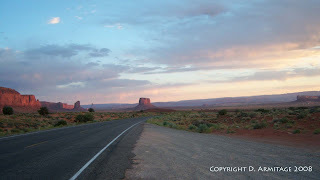 The last town to be bypassed by the Interstate was Williams, Arizona, 60 miles south of the Grand Canyon. 11. 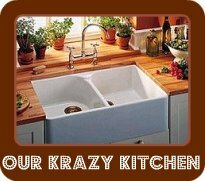 The temperature in Phoenix last week reached 112 degrees Fahrenheit. People say, "It's a dry heat." Let me tell you this - it's still heat! Dry or humid, it's hotter than a witch's cauldron! Who needs a heated swimming pool in this kind of weather? 12. The Saguaro cactus is native to the Sonoran Desert (extreme southeastern California, southern Arizona and adjoining northwestern Mexico). The saguaro blossom is the state flower of Arizona. 13. Of the three hotels we stayed in, Howard Johnson's in Williams, Hampton Inn in Kayenta, and the Pointe Hilton Tapatia Cliffs, the Hilton had the most comfortable bed and gorgeous swimming pools but the WORST Internet service. Not only was it wired and slow, but it cost $12 a day! The other two hotels had free Wi Fi. Isn't that the way it should be? Did you learn something? I sure did! Our trip to Arizona was one of the best vacations I've ever had. 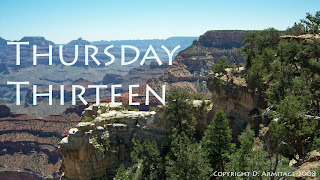 Please visit the Thursday Thirteen homepage. I'm very impressed that you've retained all that information. Even though I love the smell of coffee, I don't drink it either. Too bitter for my taste. LOL!! Thanks for stopping by. Loved the facts about Arizona. Great picture of the squirrel! I have seen the Grand Canyon for the first time in 1971 ! What an experience ! I immediately fell in love with Arizona and in the 80/90th we returned there again. I have travelled through nearly all States during the years we were visiting my aunt in Madison/Wisc. and of all I have seen Arizona was the most beautiful State. How fun! Thanks for the lesson on the Grand Canyon, if I ever make it out there I will take some extra cash for that rescue fee! Happy TT. I would so LOVE to go there. Thanks for all the neat facts and lessons. Glad you had a great trip. Go Squirels! We lived in the Phoenix area for 7 years. I heard all about the dry heat - I was not impressed as I have lived all my life in the Idaho desert. It doesn't get much drier than southern Idaho. But, I have to say, I enjoyed Arizona. The best time to visit Phoenix is between Thanksgiving and Valentine's Day. Glad you enjoyed your tour and came home with some new information. While you were at the Pointe did you visit Rustler's Roost and make friends with Horny? sounds like it was beautiful. Glad you had a good time! I'm not sure about that 6 million years thing, but neat facts nonetheless. In my travels, I've discovered that the most expensive hotels charge you for EVERYTHING!! Places like the Hilton or the Marriott ought to be able to provide free Wi-Fi if the Days Inn or Ramada can. It's the reason I don't stay at the more upscale hotels - even when I can afford it. Gorgeous photographs. It's been ages since my last trip to Arizona and the Grand Canyon. 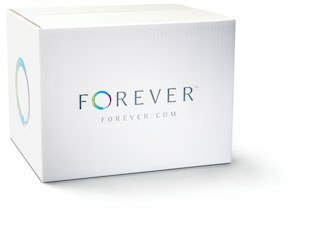 When my kids are a little older I plan to take them. Happy TT. What a great trip! Thanks for sharing it with us! Did you have a Navajo taco?? Navajo fry bread? sigh... some of my favorite food - period. Sounds like you really did your homework to make the most your trip. What a great adventure to share with family. Thanks for sharing what you've learned. Interesting 13. Mine is Eat, Drink and be Merry - 13 Last Words, Excerpt: Judaism instructs us to enjoy the simple gifts that God gives in the present world. Eat, drink and be merry. Enjoy this life, on this Earth, in this time. I have collected for your enjoyment the last words of some of our more famous fellow human beings involving food or drink before they died. Thanks for the lesson! Interesting post. Definitely one the places on my list to visit. As a resident of Arizona...dry heat makes a HUGE difference. After living in the northeast and midwest for 34 years, I can tell you that 112 and no humidity is much more comfortable than 85 with 100% humidity. Blech. Sounds like an awesome vacation! Happy TT!